Handcrafted, responsible skincare made right here in Cedarburg. We donate 10% of all sales to charity. 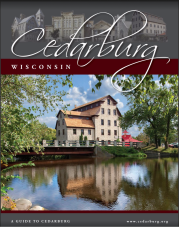 We are located on the corner of Bridge and Washington in the heart of downtown Cedarburg. We are located across the hall from the Shinery Moonshine Company, above Jewelry Works and the Olive Sprig.